We had quite a pretty sunset here the other night. Actually we've had quite a few pretty sunsets since I moved in here, but I normally don't think to get a picture of them. I do want to apologize for not posting on here and for not commenting on your blogs. I do read them every day, but my computer time has been limited as I've spent a lot of time taking care of Ava. Emily has gone back to work now so I'll be seeing even more of Ava, which I dearly love, but it definitely cuts into the time I have for other things. And right now (well, always actually) Ava and Emily are more important than anything else. She is so cute and love her smile, they are such a joy. Love the socks, I have done that myself, lol. What a delightful little gal. Love those pictures and the sunset. Love spending time at your house with the 3 of you. Oh Ava is growing sew quickly. 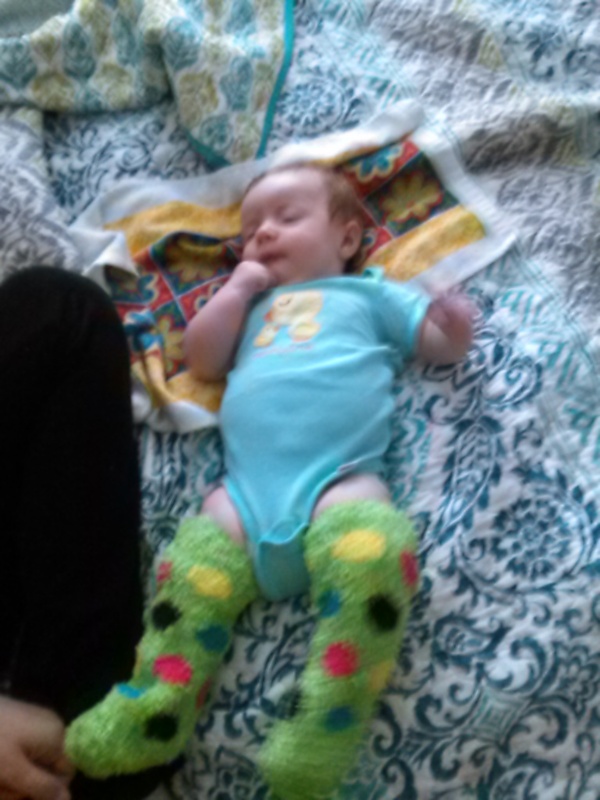 She's such a sweet happy baby.. Love the socks ... Time spent with your girls is the most important , enjoy! She is such a cute little girl. I love all of her hair. Yes, this is the time to spend with them. It is the most important thing you can do right now. Ahhh you are a good grandma! Little Ava is adorable! She is so precious. What a great grandma you are. Love the socks! Family is so important. The other things come and go, but your daughter and Ava are certainly where your focus needs to be. And, I know you are loving every moment of it! She is so sweet. Enjoy all your moments with Ava. As you know, they grow up so fast! Thanks for sharing the pics of your granddaughter.......you have your priorities right, no worries here. Glad you had a moment to let us know all was well. 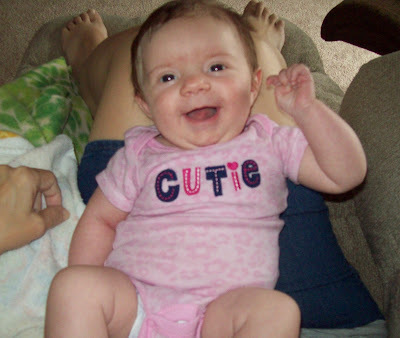 Ava has gotten so big already! What a little cutie pie. The socks were a great idea. 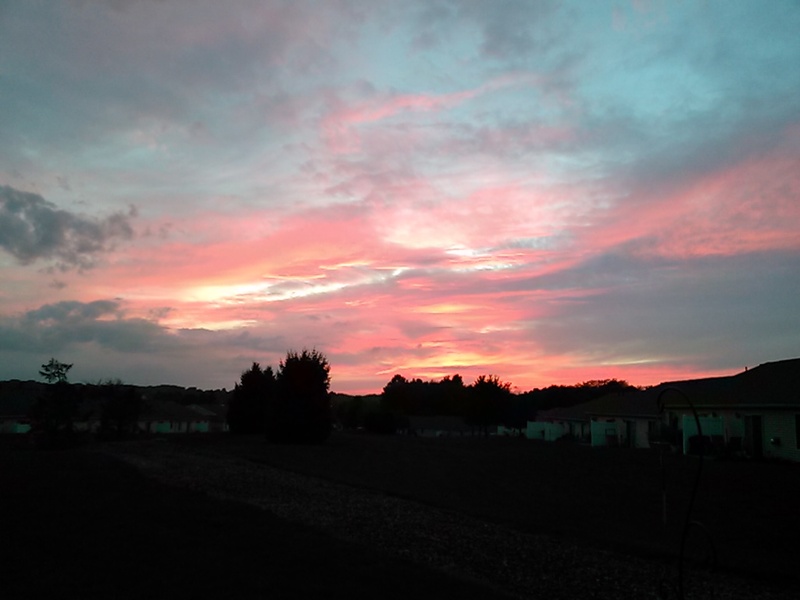 I'm glad you have time with your granddaughter and even time to notice a beautiful sunsetting at the end of your day. So cute!! Love her little smile!